MoviePass is restructuring its subscription model once again, today announcing that it will not be raising prices for its subscribers and instead return to its traditional $9.95/month price tag while limiting how often users can go to the movies every month. Effective August 15, subscribers will transition to the new model upon their renewal and from then on be able to see three movies every month at $9.95. The move follows negative responses that the company received after it announced its intention to raise the base subscription price to $14.95/month just last week. These users will also gain access to up to a $5.00 discount on any additional movie tickets purchased after they see their three allotted movies in any given month. MoviePass has had a turbulent summer, beginning with the introduction of Peak Pricing in July, rolling out Ticket Verification to all users, and restricting major film releases from its subscribers for the first two weeks of release. In an interview with The Wall Street Journal today, MoviePass CEO Mitch Lowe confirmed that all of these changes are now being abandoned. After one week of analyzing customer responses and internal debate, Mr. Lowe said MoviePass is abandoning those changes. The price increase and restriction on new releases are being revoked, there will be no surcharges, and users will no longer have to upload photos of tickets they buy to prove they are not committing fraud. This means that the three films subscribers will be able to see each month will "include many major studio first-run films." The company says that about 85 percent of its subscribers already only see three or fewer films per month, leading to the decision to install the new plan for its entire subscriber base. 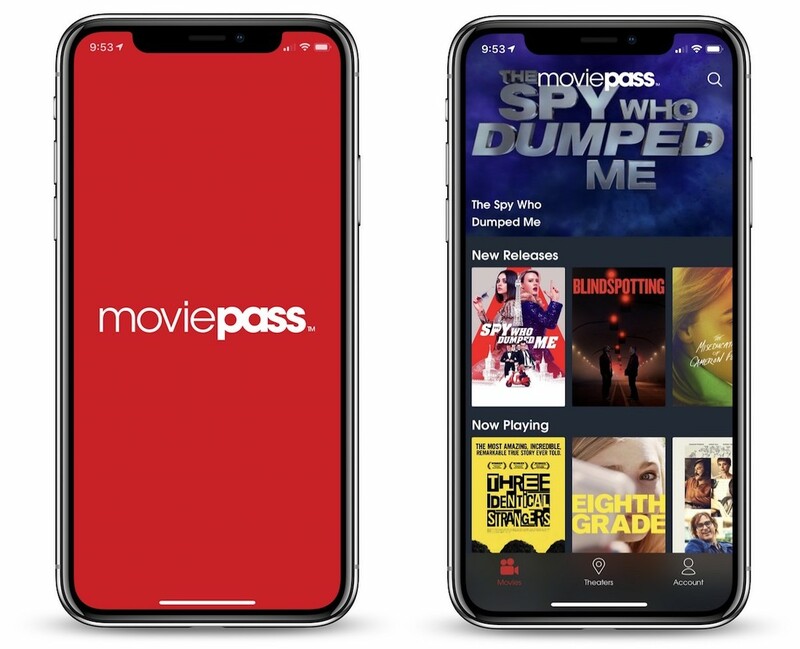 Still, it's a major change in comparison to what MoviePass announced one year ago this month, allowing users to see one movie per day every month at $9.95. The new model is akin to what MoviePass was before it surged in popularity last year, when it offered price tiers like $50/month for six movies. This sounds like a totally reasonable compromise. Where I live, the price of a single ticket is about $11, so it would still be worthwhile for me even if I only saw 1 film a month. The problem is now that MoviePass have proven themselves to be completely untrustworthy and in the process alienated a significant majority of their customer base, myself included. Who's to say they won't come up with some crazy new way to jerk everyone around in another few months? It's definitely been a turbulent few weeks and it sounds like they're making good efforts to improve, but I think the damage is done. I think this is fair to be honest. MoviePass advertises itself as an Unlimited, movie a day service… now they are saying this about going to a 3 ticket a month plan: “…to bring some moderation to the small number of subscribers who imposed undue cost on the system by viewing a disproportionately large number of movies…” so they blame people who try to use it the way they advertised for their own short term thinking?? I have zero respect for these people. > Big problem I have is, I have to do advance ticketing now. Just a few months ago the local cinema upgraded to recliners and reserved seating, adding the ability to pick your seat online/in your phone. That would be ok, except, now that it has caught on, people are advance ticketing, and, with less seats, it’s nearly impossible to just go there and get a good seat. Most of the other cinemas I go to less frequently have also upgraded to mostly recliners and reserved seating, except for the IMAX, (that IMAX opened about 5 years ago, it’s 4 stories high with leather seating, armrests (w/cupholders) that go up/down, seatbacks recline a bit, it’s actually pretty nice). So, I’m still glad I cancelled. Let's see how many days this plan lasts. I cancelled last week and was still charged for a new month yesterday. HOT MESS. This new plan has a bad ring to it. It should be 4 per month, so they can say that it’s “a movie a week”. 3 is just... weak. Curious how this will effect me since I prepaid for the entire year? I’d hope that would lock me into the unlimited plan for 12 months, but we’ll see. Does anyone know for sure? It is. It's 4 movies a month for ~$15. Or if you only want 3 movies, it's $10. I like this plan. It sounds sustainable. It sounds reasonable. I'll consider it - are there enough movies I want to see? Are there movies I might want to see more than once? Or even better - can my wife and I get a single account for $10? Then we can see 2 movies a month for ~$15. The stock price of Helios & Matheson (the parent of Moviepass) is up 50% this morning based on this news..
A new week brings more new changes. Nothing ever sticks. Will they even last until Halloween? Then the creak and groans arrived, signaling middle age. After the last two weeks of not knowing what you could see, if you could see it, and having every movie at every theater at every time being "Peak Pricing" and then over this last weekend not one theater in 20 miles radius was available to use the Pass at. I gave up. I cancelled. I switched to AMC and now, I can see 3 movies a week, any time, any version, and book online in advance and even order my popcorn over the app and have it ready for me when I walk in the theater.